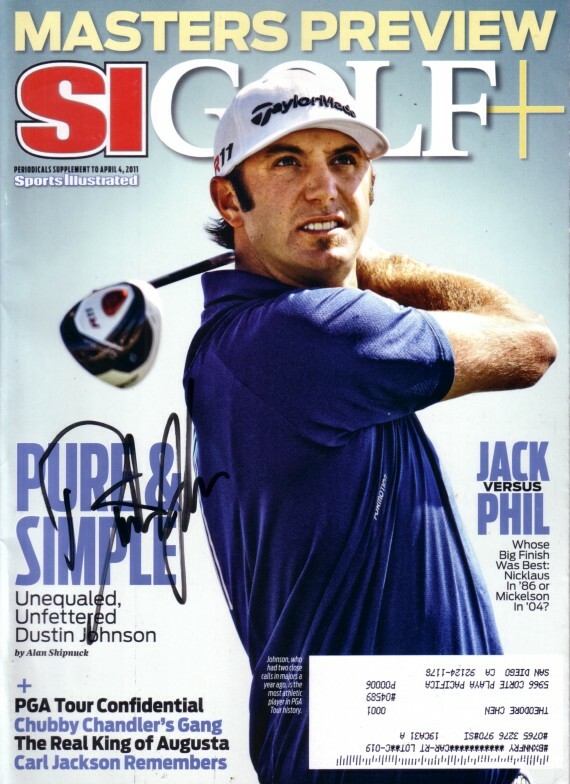 2011 Sports Illustrated Golf Plus Masters Preview magazine autographed in black marker by PGA Tour superstar Dustin Johnson. Obtained in person. With certificate of authenticity from AutographsForSale.com. ONLY ONE AVAILABLE FOR SALE.